The Senate narrowly gave final passage Saturday to a controversial proposal that would require certain private-sector employers to automatically enroll workers in retirement savings plans overseen by a new quasi-public authority. But while the bill has passed both the House and Senate, the proposal could still undergo changes. Senate President Pro Tem Martin M. Looney said there are some minor issues with the bill that still need to be resolved between the Democratic majority and Gov. 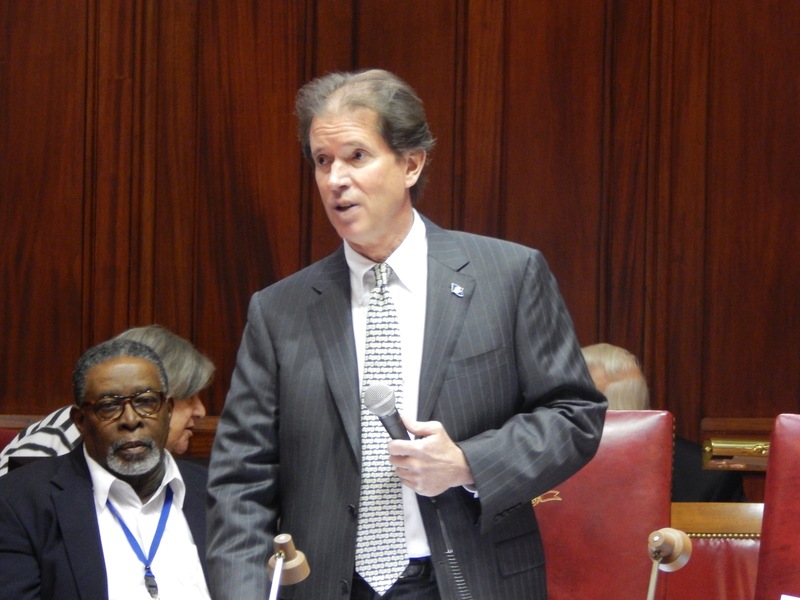 Dannel P. Malloy, but he was optimistic this would be settled before the regular session ends at midnight on Wednesday. “These are primarily technical issues,” Looney said, adding that they mainly involve the vendor selection process for a fund investment manager. Senators voted 18 to 18 on the bill; Democrats Paul Doyle of Wethersfield, Joan Hartley of Waterbury, and Gayle Slossberg of Milford joined all 15 Republicans in voting no. Lt. Gov. Nancy Wyman cast a tie-breaking vote in favor of the measure. Supporters view the measure as a way to boost savings among the 600,000 Connecticut residents who don’t have access to a workplace retirement program – something that could have repercussions for the state and federal governments if people end up relying on public programs because they haven’t saved enough to support them in later years. But critics say the proposal is an unnecessary government encroachment on the existing investment industry that would send a poor message to the state’s financial services industry and add a burdensome mandate on employers at a time when Connecticut’s business climate has come under fire. 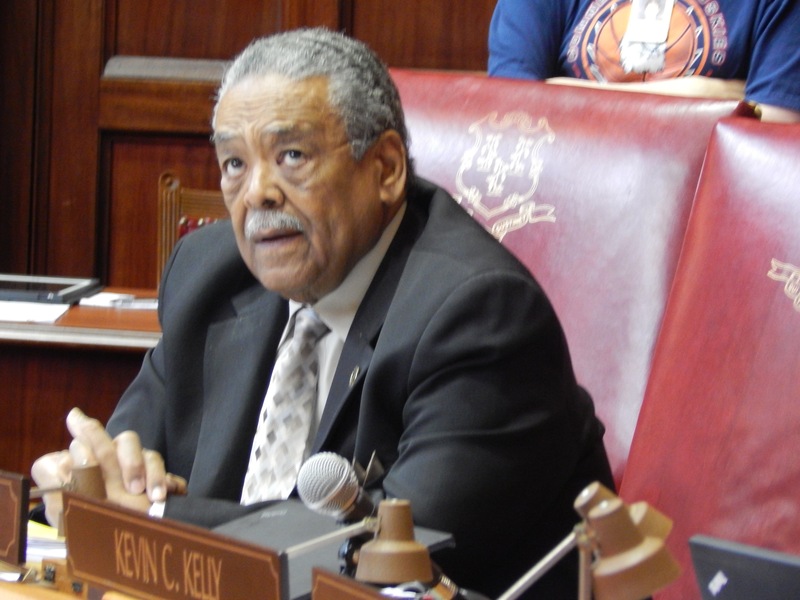 The bill would create a quasi-public system, the Connecticut Retirement Security Program, for automatically enrolling certain private-sector employees into retirement savings plans, unless they opt out. Employers that do not offer a retirement plan would be required to enroll their employees into the program, and – unless workers choose otherwise – set them up to have between 3 percent and 6 percent of their taxable wages put into their retirement account. The payroll deductions would go into a Roth IRA overseen by the new authority, the Connecticut Retirement Security Authority. The bill also allows the authority to charge a fee to participants to cover the costs of the program. The bill applies to private-sector employers that do not offer a 401(k) or other payroll deduction retirement option and have at least five workers who earned at least $5,000 in the previous year. It covers all of their employees who are 19 and older and have worked for the employer for at least 120 days, although workers would be allowed to opt out. Supporters of the bill say it addresses a significant problem: Americans aren’t saving enough for retirement. During debate on the proposal Saturday evening, Sen. Ed Gomes, D-Bridgeport, cited statistics indicating that people are significantly more likely to save for retirement if they are offered a payroll deduction option through their jobs. Looney, D-New Haven, said the goal was not to replace the private market, but to meet an unmet need. The importance of boosting retirement savings is growing as more people live longer in retirement and rely primarily on Social Security, Looney said. “We are in danger of having many, many people, especially baby boomers, living in a prolonged state of poverty in the last years of their life,” he said. But critics questioned why the state would get involved in a function the private sector can – and does – already handle, and said the bill sends a poor message to the state’s financial services industry. And they said it would add burdens to businesses that are already facing rising levels of government-mandated costs. Sen. L. Scott Frantz, R-Greenwich, called the proposal well-intentioned, but said it addressed the problem of inadequate savings in the wrong way, creating a potentially huge bureaucracy, led by a government that he said has a poor track record managing its own pension system. And Frantz said it wasn’t clear how easy it would be for people to opt out of payroll deductions. “Many lower-wage people live from paycheck to paycheck, and they need that money,” he said. He and other Senate Republicans offered an alternative earlier this year: creating a state-sponsored marketplace to connect small employers and their workers to private-sector retirement firms. They offered the model as an amendment Saturday, but it was defeated.